I have been doing this with my students this week and it has been very successful. 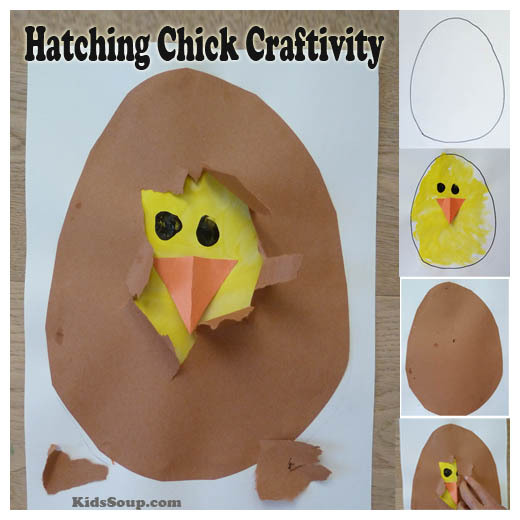 We discuss first what we know about a baby chick using EET. We review vocabulary related to the subject and I show pictures to reinforce the vocab (beak, feathers, wings, down feathers, hatch, yolk, peck, exhausted, fluffy, wet, skinny, etc). I cracked an egg in front of them too. We looked at it, touched it, described it- then washed our hands! Then we watched a time elapsed video of an egg hatching from youtube video. Afterwards, we made an egg craft for following directions and spatial concepts. So much fun! Thanks for sharing! I’m doing this next week!